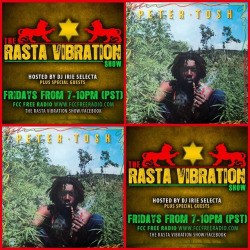 Make sure to tune inn to The Rasta Vibration Show tonight on FCC Free Radio! We will pay tribute to the great Michael Prophet! It all goes down 7-10pm(pst) on www.fccfreeradio.com Live in Studio 1A!!! !